Have you ever experienced the adventure of a river excursion? River trips are pretty much the opposite of your typical over-the-top cruise ship liners, offering travelers small vessels, small groups, and minimal amenities. These expeditions offer a level of intimacy and interaction with local life that is not available on large ocean liners or even from the window seat of a tour bus. Not only are the ports of call not cookie-cutter little towns practically constructed just for cruise ship passengers, but the river ports are real docks where goods are transported in and out of villages and people rely upon for their day to day activities. River cruises offer travelers a unique and up-close encounter with local life all from the comfort of their own vessel; be it a houseboat, luxury cruise ship, dugout canoe or even and inner tub, the following river trips top any water enthusiasts’ list. 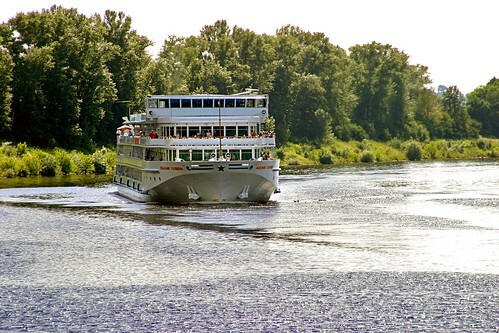 What are the Top 10 River Cruises? Known as the “Venice of the East”, Kerala’s waterways are the perfect spot to leisurely explore Southern India’s backwaters. 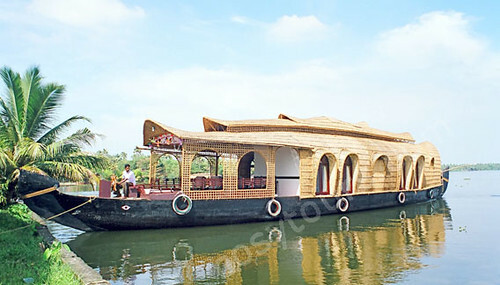 Houseboats are widely used in the Indian state of Kerala as a means of transporting materials and passengers. This enchanting cruise on Kerala’s traditional Kettuvallam has now evolved into a must do activity. While operators offer day packages, most travelers chose the 3 or 4 night options in order to indulge in the labyrinth of waterways. Passengers cruise between palm-fringed waterways, discover quaint towns and meet locals eager to interact with tourists. Most houseboats have all the comforts of home, from multiple bedrooms with adjoining bathrooms to a well-appointed dining room and attached living area, to a kitchen and on-site chef that cooks sumptuous Keralan cuisine. German poet Friedrich Hölderlin called the Danube “a refreshing, melodious river, sometimes foaming with high spirits, at other times dreaming serenely.” For many centuries, this river has been a reflection of Europe’s history – an economic lifeline, a means of conquest, and a source of inspiration for poets and musicians. As the second-longest river in Europe it is perhaps the most romanticized waterway in the world. 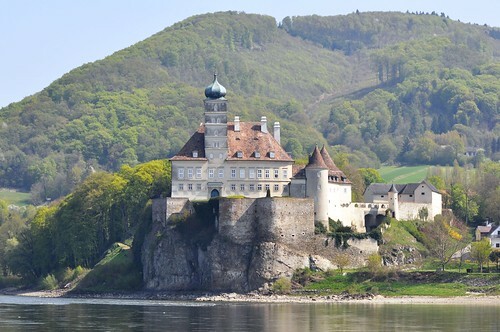 While most Danube river trips include a stop in Budapest, Hungary and Vienna, Austria, the Danube flows trough many other countries, all of some of which may be included on your itinerary depending on your time restrictions: Germany, Slovakia, Croatia, Serbia, Bulgaria, Moldova, Ukraine and Romania. Not only will you discover World Heritage Sites as your cruise down the Danube, the Danube Delta itself was declared a World Heritage Site in 1991. Some major sites of interest along the Danube are: The National Park Donau-Auen and Wachu Valley in Austria, Iron Gate in Serbia and Gemenc in Hungary. The Sepik River is one of the greatest river systems in the world. From its swamplands to tropical rainforests to towering mountains, the river winds in a serpentine fashion seducing those who travel along it. The Sepik originates in the Victor Emanuel Range in the central highlands of Papua New Guinea and travels northwest to the mountains near Yapsei, eventually flowing into the Bismarck Sea. The river is over 1100 km long and the people along the river basin greatly depend upon it for transportation, food and water. 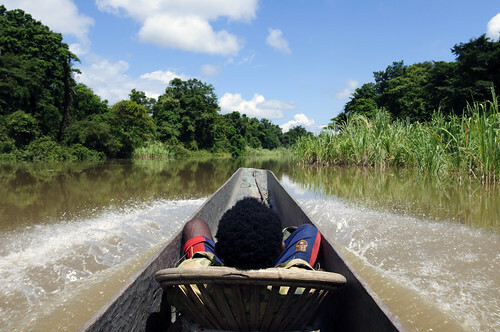 While traveling down the cruise in a river boat may seem far more luxurious, it is extremely expensive and spoils the authentic atmosphere of the Sepilok; opt instead for a dugout canoe, and travel as the locals do, shuttling between villages in the Middle Sepik or traversing its many lakes and tributaries. Papua New Guinea, particularly the Sepik River, remains untouched by tourism and as a result the cultural traditions of the local people are more vibrant and distinct than anywhere else in the world. A visit to historical Egypt would not be complete without this world-class river cruise. A cruise down the River Nile is not merely scenically beautiful, but offers a window into the ways of ancient Egypt. Many of the Nile’s inhabitants have depended upon it for thousands of years so it’s easy to understand Egypt’s reverence of this magical water source. 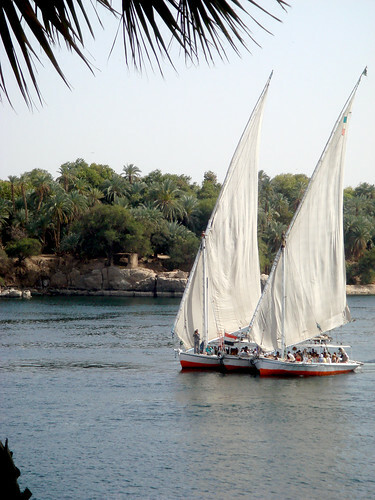 The felucca is Egypt’s traditional wooden sailboat boat, which allows travelers to take in the brreze of the sail without the pounding sound of a motor. Feluccas tend to be relatively small, usually holding 6-8 persons (plus crew), providing passengers with an up-close and personal look at life on the Nile. There are dozens of ancient sites to visit on a felluca cruise; from Luxor’s Hatshepsut Temple to the nearby Valley of the Kings to the dam at Aswan then cruising on to the monumental temples in Kom Ombo and Edfu. While a felucca is nowhere near as luxurious as boats on the Danube or Rhine River, it’s pretty hard to beat sailing down the longest river in the world in the boat, utilized by the Egyptians thousands of years ago. The sleepy town of Vang Vieng is perfectly perched amongst limestone pinnacles, a windy river and small guesthouses. However, the beauty of the region is best viewed from the reclining position floating atop a couchy inner tub along the Nam Song River. This floating adventure is so much fun that it has become a staple of the South East Asian backpacking circuit. 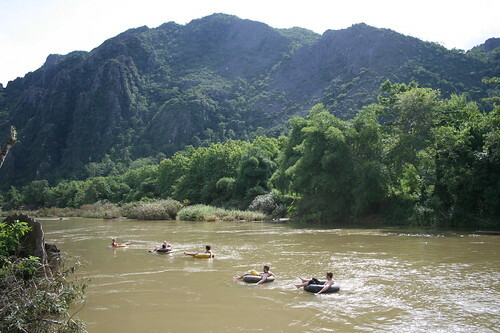 Passengers float down a 3 km waterway stopping at local bars to swig back some cheap Beer Laos and swing from zip lines. This hedonistic adventure allows travellers to be as lazy as they desire while still taking in the splendor of Van Vieng’s surroundings. 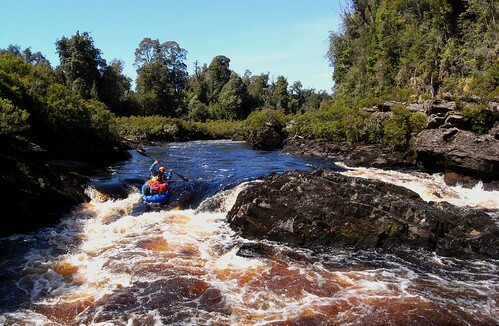 The Franklin Gordon Wild Rivers National Park, part of the Tasmanian Wilderness, listed as a World Heritage Site, offers wildlife enthusiasts the chance to take a wild white water rafting trip or a luxurious mini cruise down the Franklin River’s pristine waterways. Adventure enthusiasts will experience heart-pounding rapids, arduous portages, deep gorges, quiet pools and the magnificence of the surrounding rainforests while those with less of propensity for heart pounding adventure can take in the beauty fro the deck of cruise ship. The 125 km, 8-14 day rafting trip takes paddlers through many scenic spots: from the famous Gordon River to the stillness of the Irenabyss to the furry of the 5km long Great Ravine with rapids named Thunderush and the Cauldron – rafting down the Franklin river is the only way to truly experience the splendor of its wild beauty. Languidly cruising down the Amazon River evokes a sense of romance and exoticism that can only be harnessed once experienced. The Amazon River is the second largest river (after the Nile) and is home to one third of the world’s wildlife. In terms of biodiversity, it is the richest tropical forest in the world – there are over 2100 species of fish, bull sharks, Amazonian manatee and the infamous anaconda. This area is so remote that it can only be accessed by plane or boat, effectively protecting the area against substantial human interference. Due to its isolation, large cargo boats transport supplies, equipment and people. 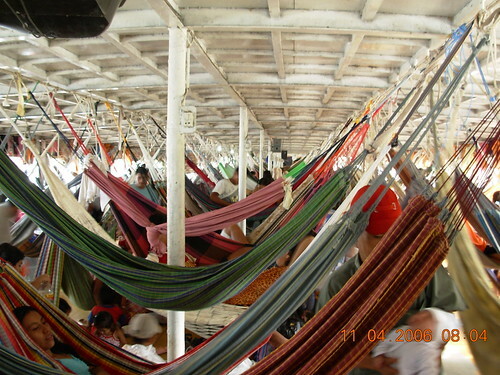 While some of these boats are for the sheer purpose of actual cargo, many of them moonlight as tourist vehicles offering sleeping hammocks and daily excursions to Pevas, Peru’s Amazonian town to bird watch at the Ampyiyacu Riverto and jungle walks in the Paranaquiro village. Travelers to this ecologically enriched region also have the opportunity to go piranha fishing, crocodile catching and swimming with pink dolphins. While this may not be the romanticized version of the Amazon you had envisioned, you aren’t there for the luxury but to experience the Amazon’s lush beauty, which is incomparable to any other place on earth. 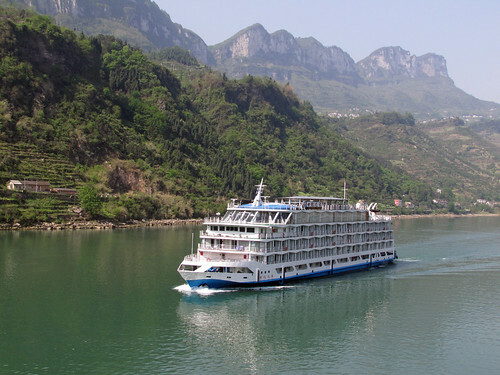 If you opt for a cruise on the Yangtze, you can finally say you are “on the slow boat to China” while cruising down the third longest river in the world. The Yangtze River is said to be the cradle of civilization and offers an unparalleled view of Chinese history and culture. The 6400 kilometer long river crosses the country from glaciers of the Tibetan plateau all the way to the East China Sea, near Shanghai. The Yangtze River is a lifeline for the local people providing transportation, irrigation, boundary-making and sanitization functions. From exploring Beijing’s ancient temples to experiencing the modern wonders of the Three Gorge’s Dam to taking in Fengdus’ infamous ghost city to the UNESCO protected Three Parallel’s of Yunnan Protected Area (Tiger leaping Gorge), a tour down the Yangtze affords travels with a true taste of Chinese life and history. While travelling to Russia may seem like a daunting undertaking due to the language and cultural disparities, a trip down the Volga River provides travelers with a fulsome taste of Russia and it’s heritage. Cruise ships along the Volga afford passengers with all the luxuries of an ocean-style cruise liner. Similar to many other rivers on this list, the Volga is the epicenter of life; those that live near it depend on it as a water source, irrigation system and the source of hydroelectric power. Besides hitting up the major spots such as Moscow and St. Petersburg, the cruise explores historic towns such as Kazan, Volograd (once and most notoriously known as Stalingrad), Nizhni Nogorod and Mostroma. The Rhine River rises high in the Swiss Alps as is passes Germany, France and continues through Holland on its 1200 kilometer plus course to the North Sea, making it a major shipping route into central Europe. The Rhine is often considered Germany’s treasure symbolizing commerce, industry and trade. 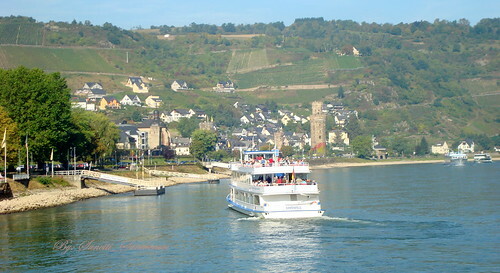 Onboard passengers, have the opportunity to travel through the medieval villages along the Rhine speckled with fairytale castles, lush vineyards and architectural wonders. Our Top 10 River Cruises article was article published on Glenfiddich Explores Blog.